Although most people’s favorite holiday is Christmas because of the food and presents to confess my favorite is Easter. Its the hope of spring, of seeing brighter colors, gardens, new life and growth. Easter more so than Thanksgiving is hard for me. 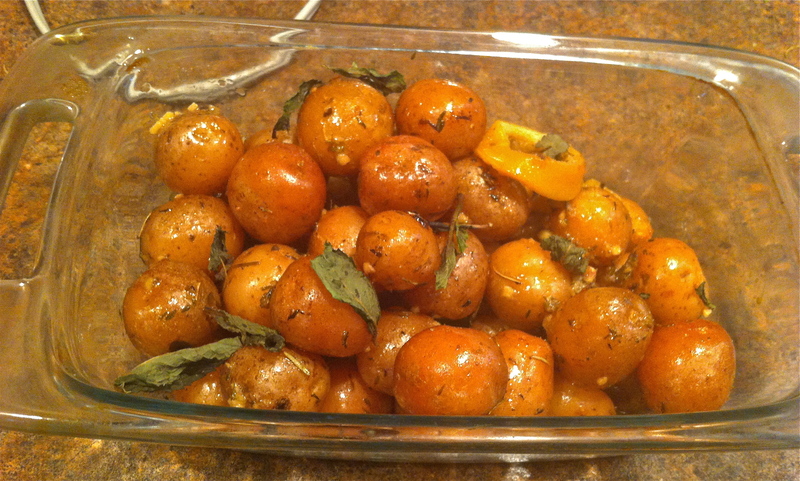 I miss family, warm spring weather, and people to celebrate and/or cook with. In the past few years I’ve stubbornly worn a spring dress for Easter to church in spite of the snow (wearing leggings and a jacket of course). We like where we live, the seasons, our house, our jobs and we are grateful and enjoy the opportunities here in upstate New York to grow in our careers and with each other. So we find ways to make holidays work or make them more meaningful: this year that meant that I tried a new challenge: roasting lamb. To me lamb makes sense for Easter, it’s symbolic for the time of year, the holiday, and definitely is a specialty for a special day. 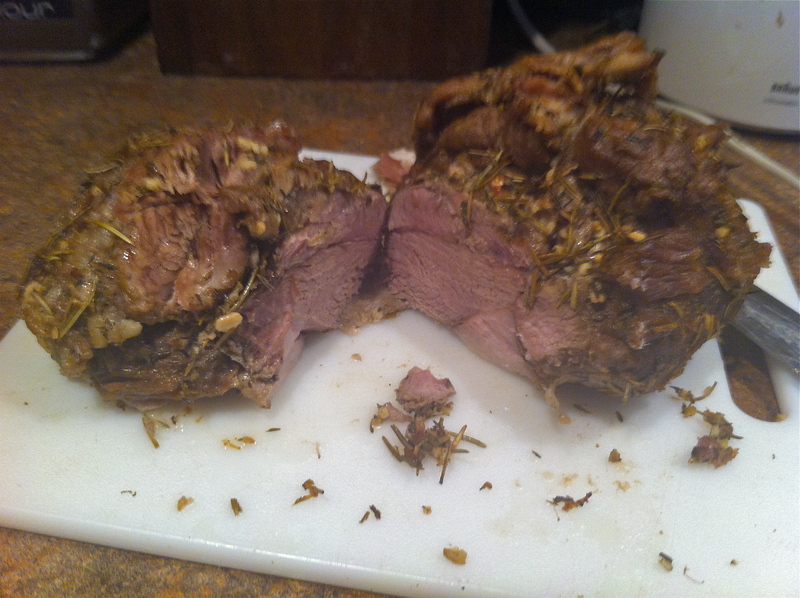 It was my first time roasting or working with lamb at all. 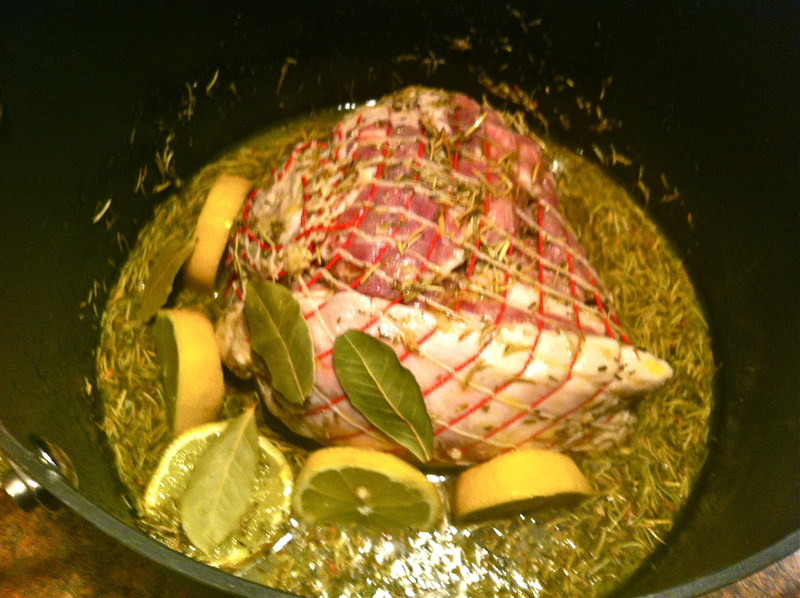 I put the lamb in a mixture of olive oil, fresh lemon juice, rosemary, thyme, bay leaf, garlic and little chardonnay in a large pot. I put the pot in the oven at 350F for an hour. After that hour I realized the lamb was sitting in a lot of liquid. So I took out a lot of the liquid and put it in a separate small pot. My husbands suggestion then was to put the baby red potatoes in the bottom of the pot to keep the lamb out of the liquid so it would roast instead of braze. (Yes my husband knows a few things about cooking too 🙂 ). I checked it again after another hour and thought it wasn’t quite done. Next time I checked the lamb it was more than ready! 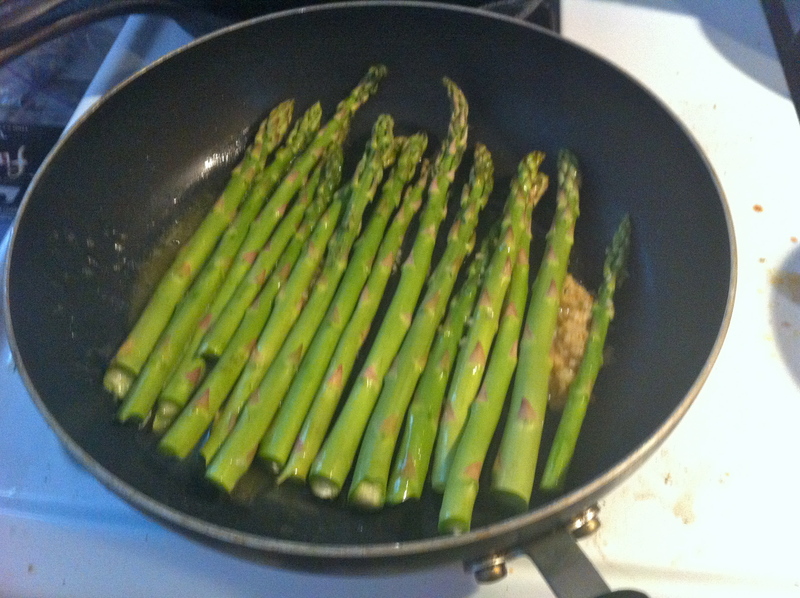 I also cooked asparagus with garlic, butter and sprinkled on a little parmesan. 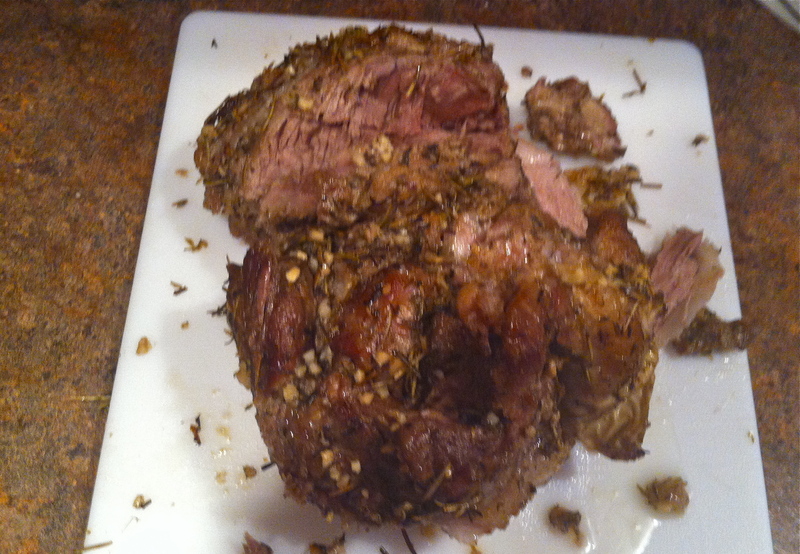 We were surprised how quickly the lamb cooked down, we are still adjusting to our oven. 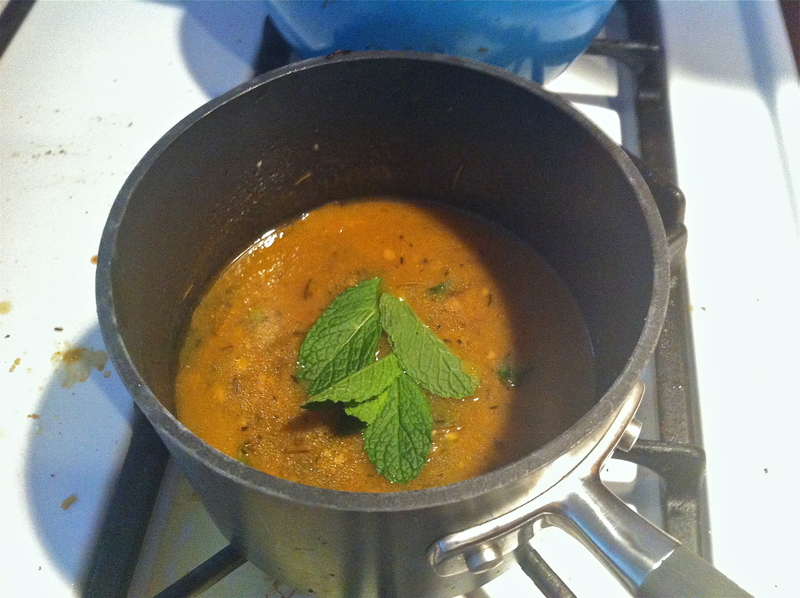 But I added a little butter and mint to the left-over drippings from the lamb pot and made a au jus out of it. It added the needed mositure. The combo was great and the highlight? Actually the potatoes cooked in the bottom of the lamb pot were the best part of the meal. It was a great chance to be challenged. What do you normally eat for Easter?